Like any other human, each golfer is different. They may play a common game with common equipment, but their playing styles and temperaments come in all kinds. A golf gift that's truly special is one that speaks to the personality of its recipient. Here are some examples of golf personality types that can help you find a suitable gift for the golfer in your life. 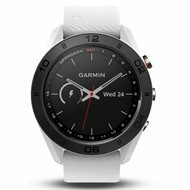 A golf GPS watch, like the Garmin Approach S60 GPS watch lets the golfer find the precise distance he needs to make the most accurate shot. The Approach S60 GPS watch shows the exact distances to the greens, hazards, and doglegs of over 40,000 courses, even accounting for the slope. Connect it to your phone with the Garmin Connect app for advanced stat tracking and hole fly-overs. Besides golf, the S60 tracks activity for running, cycling, swimming, and more, helping the Athlete on and off the course. You don't have to be an Athlete to know that when you play hard, you sweat hard. 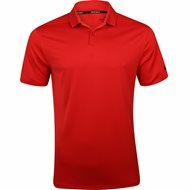 The Nike Victory Solid Polo Shirt has a sleek design with a normal fit. The fabric has Nike's sweat-managing Dri-FIT technology, which quickly pulls moisture away from the skin, letting it evaporate quicker. There are several colors to choose from too. A true Athlete is ready for a round anytime and anywhere, even abroad. The heavy-duty Vault Travel Case is made from ultra-high molecular weight polyethylene and can withstand any kind of turbulence. It's even approved by the TSA for easy security checking. The YETI Hopper Flip 12 cooler is sure to be enjoyed by your Good Time Golfer! 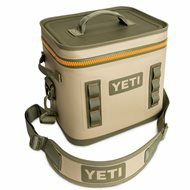 This leakproof cooler holds 6-12 12-oz. cans of their favorite beverage. The cooler also has a puncture-resistant DryHide Shell and multiple accessories pockets. 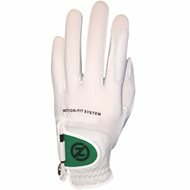 The Zero Friction Motion Fit glove is a one-size-fits-all glove that comes in several bold accent colors. Golf is meant to be fun and you can now express your wild side through your golf glove. 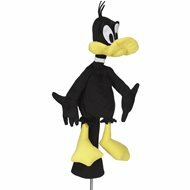 A Looney Tunes Headcovers let your Good Time Golfer release their inner child with their favorite character protecting their club. Practice equipment like putting aids and swing trainers offer recipients a way out of Underachievement. 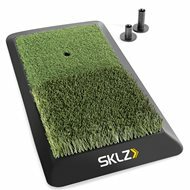 The SKLZ Launch Pad hitting mat is a portable mat that you can use inside or outside to keep your game sharp. It lets them practice hitting shots from the fairway or the rough. The Underachiever may not play well but at least they can look good. 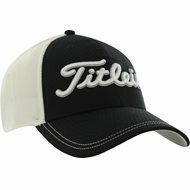 Choose from hats or visors from top brands like Titleist, Nike, TaylorMade, and more. 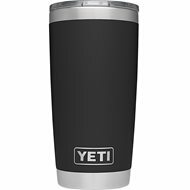 Should things go from bad to worse on the course for The Underachiever, they can fill a YETI 20oz Rambler with their favorite beverage. This stainless steel cooler keeps their drinks cold or hot, has a no-sweat design that keeps their hands dry, and is dishwasher friendly. Also, the MagSlider lid will keep their drink securely inside. The Newbie is the beginner golfer who's very excited about the game and can't wait to hit the course. Encourage him, but be careful not to overspend on him because there's a still chance that he may lose interest. Get the Newbie started with a quality beginner golf club set. The Callaway Strata 2019 12-piece Club Set has everything the beginning golfer needs. 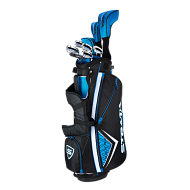 The set comes with a 460cc titanium driver, a fairway wood, a hybrid, five irons and a putter. All of this comes in lightweight stand bag. This set gets your Newbie ready to go at a reasonable price. 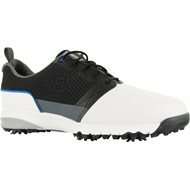 The FootJoy Countour FIT Golf Shoes deliver excellent performance at a great value. These shoes are extremely comfortable thanks to an extra thick fitbed. The full-grain leather upper has a 2 year waterproof guaranty and Pulasr™ cleats by Softspikes™ keep their feet firmly planted on the ground. The Newbie will likely hit a wayward shot from time to time. The Callaway 15th Club Pocket golf ball retriever will make recovering those shots easier. 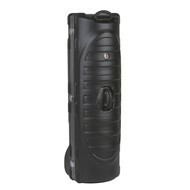 It extends to 6 feet and retracts small enough to fit in the side pocket of a golf bag. 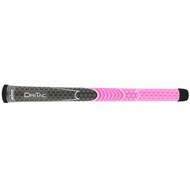 WINN Dri-Tac AVS golf grips feature a material which remains tacky for a non-slip performance in all weather conditions. Everyone can benefit from a new set of grips and this will have her ready for the next golf season. 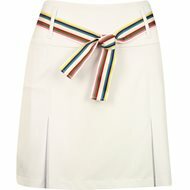 A Golftini skort is a perfect mix of style and performance. These skorts are made from a polyester and spandex blend fabric that moves with her swing, adding to the skort's comfort. The fabric is machine washable and has enough pockets for a scorecard, tee, and golf balls. Shop from solid, vibrant colors or eye-catching patterns that instantly up her style game. 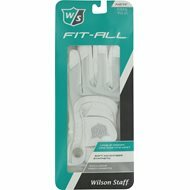 The Wilson Fit-All golf glove is a one-sixe-fits-all golve with an ergonomic design to fit her hand comfortably. Soft Microfiber synthetic material pairs with mesh on the back and fingers to keep her hand comfortable and cool. 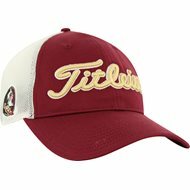 Collegiate Mesh hats by Titleist make a great gift for the Sports Fanatic. There are several teams to choose from as well. 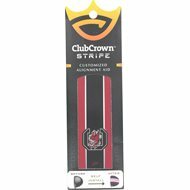 A collegiate Club Crown Strip alignment aid is another great way for the Sports Fanatic to show off their favorite college team. The aid sticks to the crown of a driver or hybrid, helping the Sports Fanatic play better golf along with supporting their favorite team. Golf Links to the Past makes high quality golf prints from archive photos. 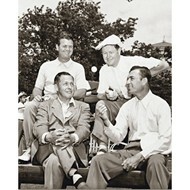 Both rare and familiar images of golf icons like Jones, Hogan, Palmer, and Nicklaus are available in restored condition and are perfect for framing. 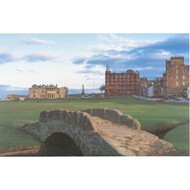 Golf Links to the Past also offer high quality course prints of St. Andrews. Your History Buff will always feel like he's on the same grounds that have been walked by golf legends for centuries. 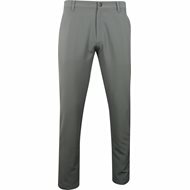 These Adidas Ultimate 365 3-Stripe Pants are durable, stylish, and comfortable. If you want to look the best on the course (and who doesn't), you'll need to get these. 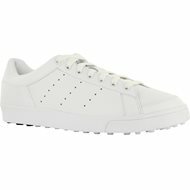 Spikeless golf shoes (like the adidas adiCross Classic) are great for the Hipster because they look like street shoes or sneakers rather than the classic saddle-style golf shoes. The spikeless soles make them suitable off the course as well as on. Whether the hipster wants some classic Vans look-alikes or some funky-designed shoes retrofitted for the course, they'll want to look ironically good from the tee to the clubhouse. 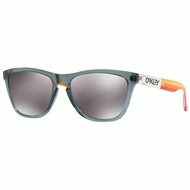 Oakley Frogskins Grips Sunglasses have a vintage design. They feature High Definition Optics lens technology that gives optical clarity and impact resistance. The lightweight O Matter frame gives the Frogskins Grips all day comfort. These are a great choice for your hipster to wear on and off the course, ensuring they always look sweet no matter where they are. This person could be a co-worker, a rarely-seen relative, an unexpected house guest, or anyone whom you don't know much about. You do know that he likes golf, though, which makes even a general golf gift a little more special than a completely general gift. Any golfer can appreciate Callaway Messenger bag. While every golfer could use some tees or club cleaner, a golf gift tailored to his or her personality makes it even more memorable. It's easy to find the perfect gift for your favorite golfer when you keep in mind what makes that person special.